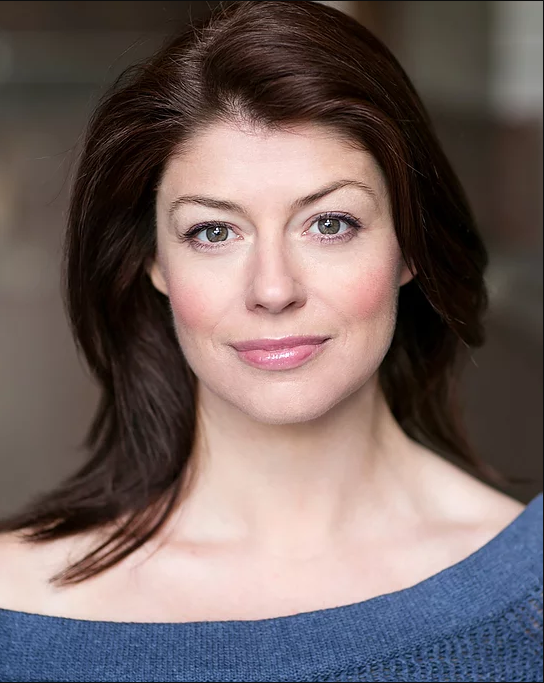 Elizabeth Boag completed an honours degree in English and French, before training in Music Theatre at the Mountview Conservatoire in London. In 2005 she was selected from over 10,000 applicants to perform in the Old Vic New Voices 24Hour Plays. She made her screen debut alongside Michael Gambon in ‘Joe’s Palace’ by Stephen Poliakoff and she followed with ‘Stuart: A Life Backwards’ with Tom Hardy and Benedict Cumberbatch. 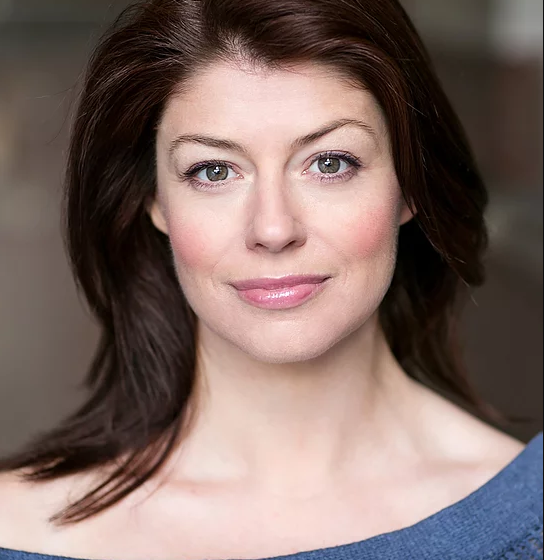 Elizabeth continues to collaborate on stage and screen as an actress and producer. 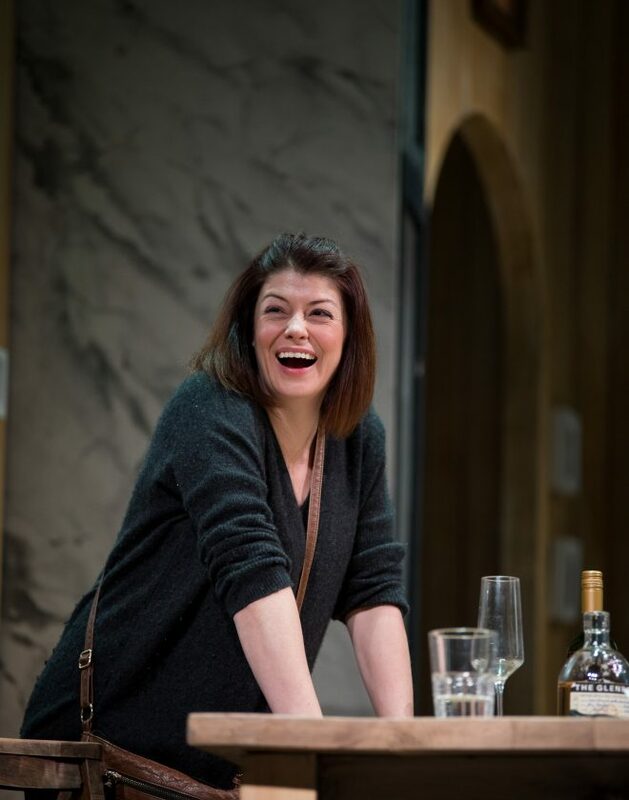 Next, she will be seen playing the role of Sally in Torben Betts’ new play, “Caroline’s Kitchen” which will tour the UK before having its US premiere in New York in the spring. We are looking forward to seeing the show when it hits Kent at The Assembly Hall, Tunbridge Wells. We got to speak to Elizabeth about her role in the show and her love for Scarborough and passion for producing. How did you get into performing, was there a performance you saw that resonated with you? My Dad was an English teacher and when I was little he used to direct school productions of Gilbert & Sullivan shows. I remember being very little, probably 2 or 3, and absolutely loving “The Pirates of Penzance”. In fact, there is a photo of me in a family album swashbuckling on our back step, playing a pirate toddler! I started dancing at 5 and then when I was 11 I joined Kirkham Henry Performing Arts in Malton, North Yorkshire and was cast as Blousey Brown in Bugsy Malone with the Ryedale Youth Theatre. Although I then took the rather circuitous route of an unrelated 4 year university degree before eventually going to drama school, I don’t think I ever really wanted to do anything else. Oh gosh, that’s a very difficult one to answer because I’ve been lucky enough to have played lots of roles that I’ve really loved. I think the character I probably care for the most is Dawn in Torben Betts’ “Invincible”. The part is beautifully written and I recognised her instantly. Having been born, bred and educated in Yorkshire myself, I relished the opportunity to play a working class northerner with the kind of strength and humanity I grew up surrounded by. 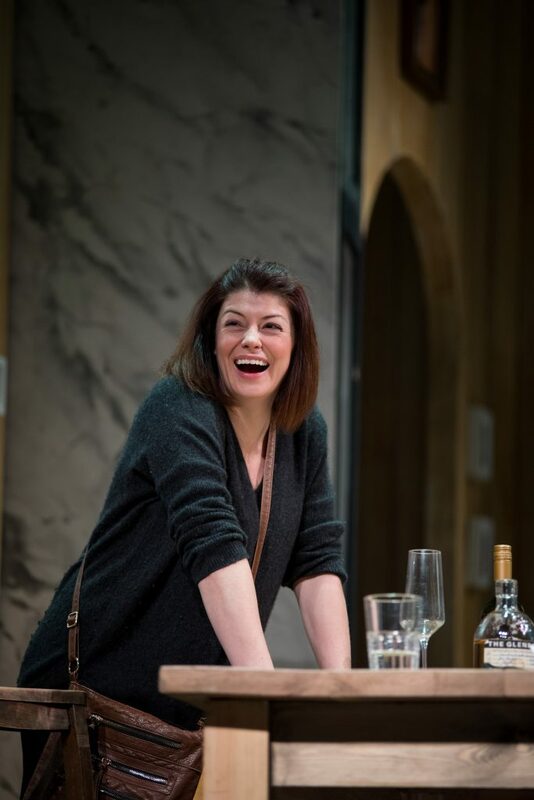 I’d play her again any time, she goes on a big emotional journey throughout the play and she really is fabulous to inhabit. Can you tell us about your current show Caroline’s Kitchen what is it all about and what drew you to the role you play? Caroline’s Kitchen is a dark comedy about a TV Chef who appears on the surface to have the perfect life, the perfect home, the perfect family, the perfect career… However, on the day we meet her, the cracks begin to show and the chaos behind the TV façade is gradually revealed, with consequences that are both heart-breaking and hilarious! I play Sally and, without giving anything away, I can say she comes into Caroline’s Kitchen as a ticking bomb. I was drawn to her a) because I love Torben’s writing and b) because I’ve never played anyone quite as volatile as her and I love a challenge! What are the challenges of performing out of town with shows? Life on the road can be tough. I miss my partner and my friends but it’s mostly fun, seeing new places, seeing how the audiences in different places have very different reactions to the play, meeting new people and bonding with the rest of the cast and crew. Being in a new theatre every week also keeps things fresh, so even though we’re on quite a long tour, we’ll never get bored! It’s a toss up between the Stephen Joseph Theatre in Scarborough and the Brits off Broadway festival in New York!! That sounds like a joke, I know. Obviously, I absolutely love performing in New York and I feel so incredibly lucky to have performed over there a lot in the last 5 or 6 years – working in New York feels like living in your own film, it’s so fabulous! But, performing at the Stephen Joseph Theatre in Scarborough is always really special for me. I grew up in Pickering, a little town just in land from Scarborough and my Mum and Dad took me to see Alan Ayckbourn plays there a lot when I was a child, so the first time I worked with Sir Alan in 2013 it felt so wonderful. I love performing in the round. The main stage in Scarborough is such an intimate space to play whilst still holding a pretty big audience, the atmosphere there can be electric and to me, it always feels like coming home. Well, I basically get paid to play with my friends! Being on stage, in the moment, playing with other actors is the best feeling I have ever had; but we also need an audience and there’s nothing better than knowing you’ve moved someone. If you’ve made them laugh, made them cry or made them think then you can go home feeling like you’ve done your job well. Probably too many to mention… And I think they’re always funnier at the time than when I’m trying to recount them! I recently worked on a show called Women In Power with five of the funniest, most talented women I’ve ever met so we laughed a lot both on stage and off. There was one particular performance when the show had to be stopped for technical reasons during a scene between Anne Odeke and Lisa Kerr and the way they then picked up the scene again after the interruption had us all laughing uncontrollably… In fact, a lot of on-stage giggling happened thanks to Anne Odeke (look her up, she’s a comedy genius)! One night she paused for such a long time (trying to make Lisa laugh) that she forgot where she was in the script!! The audience laughed uproariously, and we were all crying with laughter in the wings. If you hadn’t had been acting what would you be doing? I find it really difficult to answer that because I can’t really imagine being happy doing anything else. Having said that, I have done quite a lot of translation work on the side over the years. I’m a bilingual French speaker, so I would probably have done something like that, maybe been an interpreter or something. Oh, and I’m a producer, I’m actually doing that right now! I’m working on a feature film by Dean Loxton that’s currently in development with the BFI, that’s pretty exciting! Go to the theatre or the cinema!! It really is all consuming, this acting lark! I play the piano pretty regularly and I love dancing and I really like getting outside too, hiking, walking, running, roller blading, trying new sports like climbing and surfing… and reading, I love a good book. Are you excited to take the play (Caroline’s Kitchen) to New York, how do you think audiences will react? Is there a role regardless of gender you would love to play in a show? There are so many things I’d love to play, from Lady Macbeth or Macbeth to Hedda Gabler or George in Of Mice and Men to Principal Boy in a pantomime! But if I’m really honest, my favourite thing is working on new plays.